I haven't written about me working with the guys at Tatton Park to spread the word about the celebrations being held there, this year, to celebrate 100 years since Roald Dahl's birth. I don't live very far away from Tatton Park and have plans to visit very soon with the kids. The events they have planned look brilliant and some are running all through the year. You should really check it out, if you live in the North West of England. 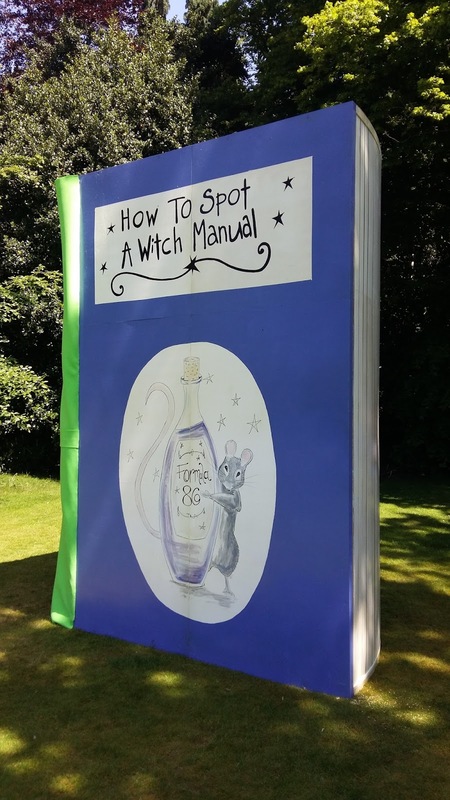 Today, I wanted to let you know about the How to Spot a Witch event being held at Tatton Park. Every Roald Dahl fan knows, real witches are all around us. They don’t wear black hats and fly around on broomsticks – they are much more difficult to spot…..unless you know the telltale signs. In celebration of its new How to Spot a Witch Manual installation – part of Roald Dahl’s Tremendous Adventures at Tatton Park – here’s the ultimate ‘Witch Spotting Checklist’ for all boys and girls. o Witches don’t have normal fingernails, they have thin claws, like cats – which is why they wear gloves ALL THE TIME, even indoors. o But many choose to wear very realistic wigs – don’t be fooled! o Real witches have an amazing sense of smell due to their very large nose holes – they can smell a child from across the street. And the cleaner the child, the easier they are to smell. o If you look carefully at a real witch’s eye, you will notice the pupil changes colour – it will send shivers down your spine. o Real witches have feet with square ends – but they try to hide this by squeezing their feet into pretty shoes. Watch out for them limping! o Real witches have spit so blue they can even use it to write with it. Created by props company Flyby Workshop, the installation is part of a number of activities situated around Tatton Park to celebrate 100 years since the beloved author’s birth. Visitors can step inside the interactive ‘book’ and explore various objects and artworks based around the witch-spotting theme. In addition to How to Spot a Witch, some of the other activities taking place at Tatton throughout the year include trails around the Mansion and Gardens, based on books such as Matilda, Fantastic Mr. Fox, Danny The Champion of the World and more. For the Roald Dahl year Flyby have also created a giant Willy Wonka inspired chocolate bar, a huge chair inspired by The BFG and a chokey from Roald Dahl’s Matilda amongst other creations. It sounds like great fun doesn't it? Have you been to Tatton Park for the Roald Dahl celebrations?